Transgender Day of Remembrance honors individuals whose lives were taken by acts of anti-transgender violence. Every year, since November 20, 1999, vigils have been held to remember transgender men and women who have been murdered. It is a day that highlights the frequency of bigotry and violence the transgender and gender nonconforming (t/gnc) community faces. It is a vigil – a day to remember and say the names of those we lost this year. It is a call-to-action, a call for allies and advocates to stand with their t/gnc friends, family, coworkers, and neighbors. Do you want to get involved and support the transgender community? It’s easy. LGBTQA & Social Justice Center TDOR Kite, 11/20/2017. Photo Credit: Victoria Gonzalez, CCAR Program Coordinator. Today, Pace University and the LGBTQA & Social Justice Center honors Transgender Day of Remembrance (TDOR). 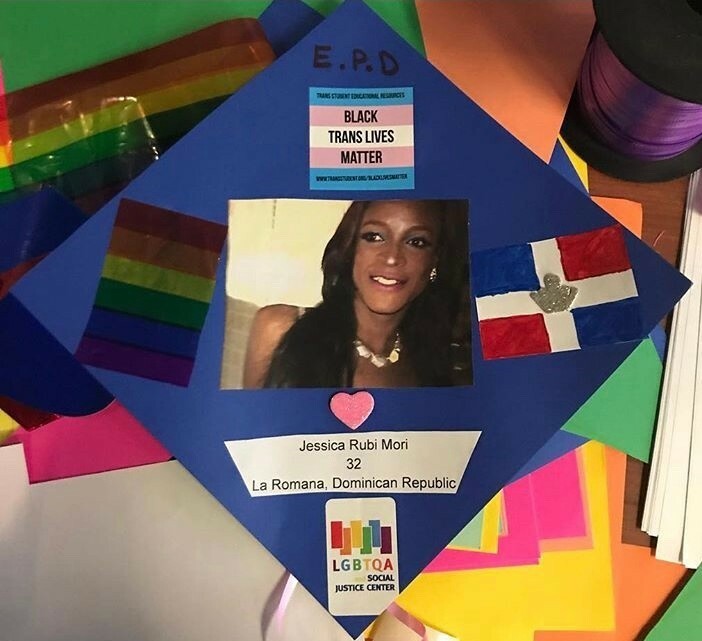 Check out their social media for posts throughout the day and join them for their Holiday Potluck on Thursday, 12/6 from 3:30-5:30 pm in the SDACA lounge to help create their annual TDOR art display, in which you and the Center will create kites to honor every t/gnc person lost by acts of violence. Vote Everywhere at Pace is working with students and student organizations on a campaign against gun violence. Gun violence affects everyone – but YOU can make a difference and #BreakThePattern. Email vote@pace.edu for more information and to get involved. LGBTQ+ youth activists are already leading the charge against gun violence. Learn how here. 5calls.org is an simple tool to find and call your representatives on policy issues you care about. Respect pronouns, ask for pronouns, give out your pronouns. Take the pledge to be more gender inclusive! Use #WontBeErased, #TransIsBeautiful, and other hashtags on social media to express your support for the trans community. Review and share this list of Transgender Resources. They include mental health resources and transgender programs and organizations. If you are interested, reach out to these organizations to volunteer! Check out more tips for allies. Pace University’s NYC LGBTQA and Social Justice Center at 212-346-1952 and lgbtqacenter@pace.edu. They also have a resource page on Trans Life at Pace. Pace Queer Society at pacequeersociety@gmail.com. ← The Election is over… Now What?